﻿ Principal Profiles - Jones, Pounder & Associates, P.C. Doug's public accounting experience is extensive. Originally with a national public accounting firm, he was principally involved with auditing, including certain large SEC clients. After returning to Charleston in 1975, Doug became heavily involved with income taxes, attending various specialized tax programs. Doug's extensive background in auditing provides him with an excellent frame of reference to assess and evaluate "what the numbers are saying" and provide clients important feedback about their financial position. Doug's experience with income taxes (from preparation to tax planning and projections for all types of business entities) results in a professionally prepared and accurate tax return and the ability to offer important tax planning advice. "Beyond the technical background, which can be suggested by other professionals, is my commitment to timely, quality service. I'm a product of the discipline of The Citadel. Further, I played baseball at The Citadel under the legendary coach, Chal Port. Coach Port had a saying - 'excuses do not change man's scorn for the loser and love for the winner'. I offer no excuses - only timely, quality professional services." 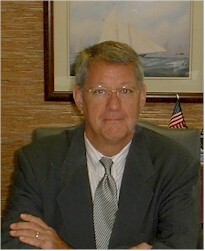 Prior to organizing the firm in 1975, Harry worked with a national accounting firm for five years. He now has over thirty-five years in public accounting and has extensive experience in accounting and auditing and income tax issues in a wide range of commercial and institutional environments. Harry's primary focus is in individual income tax planning and preparation for professionals and small businesses. Harry is a member of the American Institute of Certified Public Accountants, the South Carolina Association of Certified Public Accountants, and other civic and social organizations. 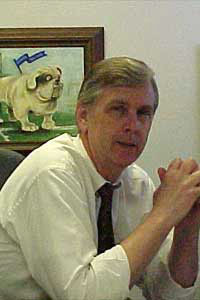 He is a former adjunct instructor at the College of Charleston's Department of Business Administration and Economics. Harry received a B.S. in Business Administration from The Citadel in 1966. Doug merged his public accounting practice with our firm in 1981, after being a sole practitioner for two years. Prior to that he was controller of a publicly traded company. He began his accounting career with a national accounting firm and has been in public accounting for over twenty-five years. Doug has extensive experience in auditing and income tax with a diverse client base. His primary focus is small business services and computer and software consultation. Doug is a certified public accountant and is a member of the American Institute of Certified Public Accountants. He is a past president of the National Association of Accountants, Charleston Chapter and serves as a board member of several social and civic organizations. Vice president of accounting and assurance services, is a 1990 graduate of The Citadel and has twenty years of accounting and audit experience. Mr. Beck started working for Jones, Pounder & Associates, P.C. 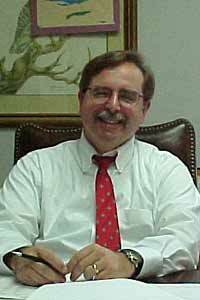 in 1998 and has served in the audit department of the largest accounting firm headquartered in the southeast. He is a certified public accountant specializing in providing audit services. He is a member of the American Institute of Certified Public Accountants, the South Carolina Association of Certified Public Accountants, and the Coastal Chapter of the South Carolina Association of Certified Public Accountants. He is the chairman of the technical standards committee and a member of the peer review committee for the South Carolina Association of Certified Public Accountants. 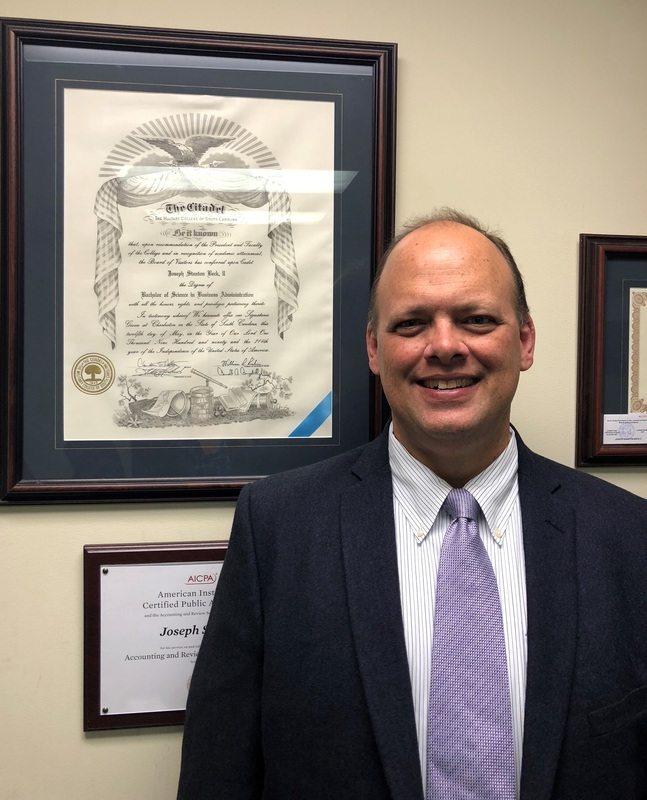 Joe has recently been appointed to the Accounting and Review Services Committee, which is a senior standard setting committee of the American Institute of Certified Public Accountants (AICPA).